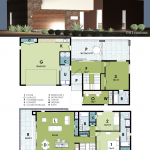 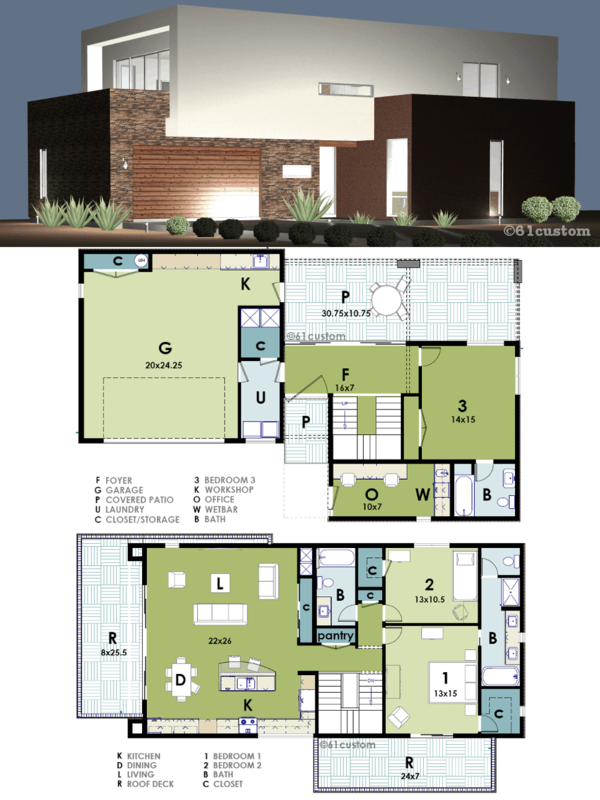 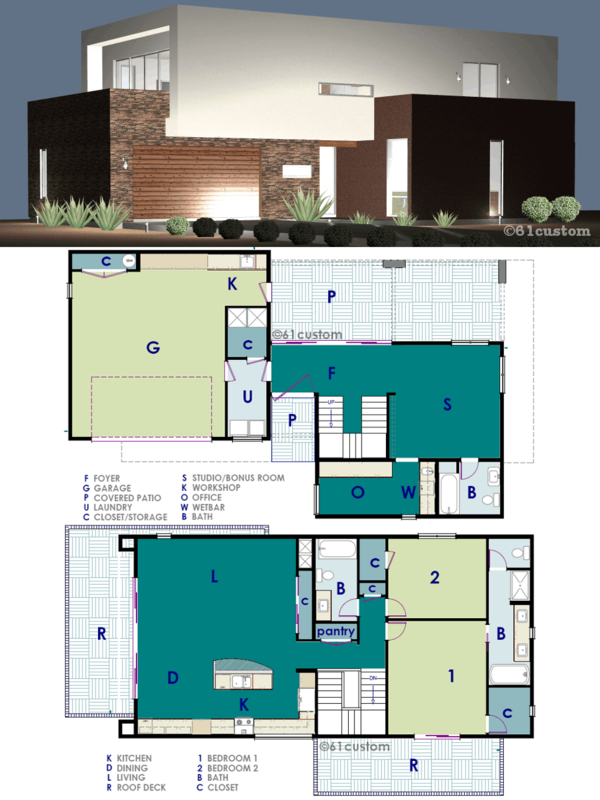 2073sqft ultra modern house plan allows clients to enter without having to walk through your personal living space. 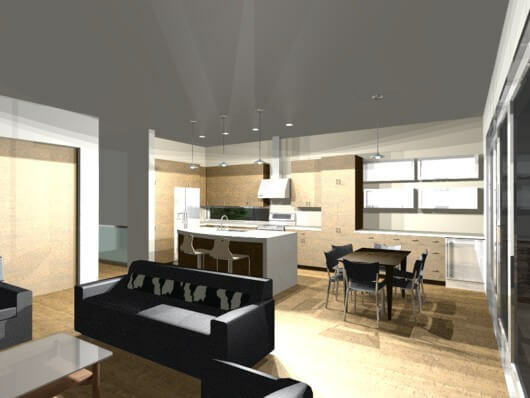 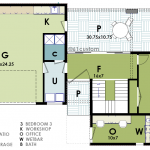 The entry level includes a studio home office with a bath, wetbar and computer area. 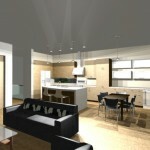 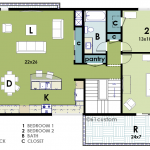 The second story offers a large, modern loft-like apartment with a great room,roof deck, two bedrooms and two baths. 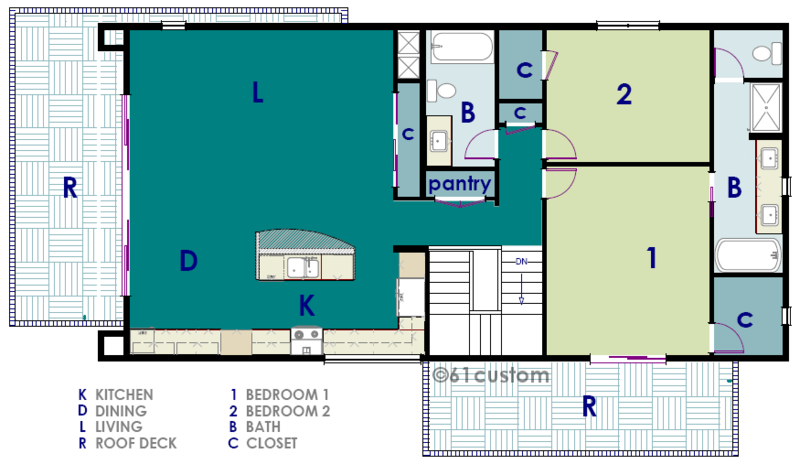 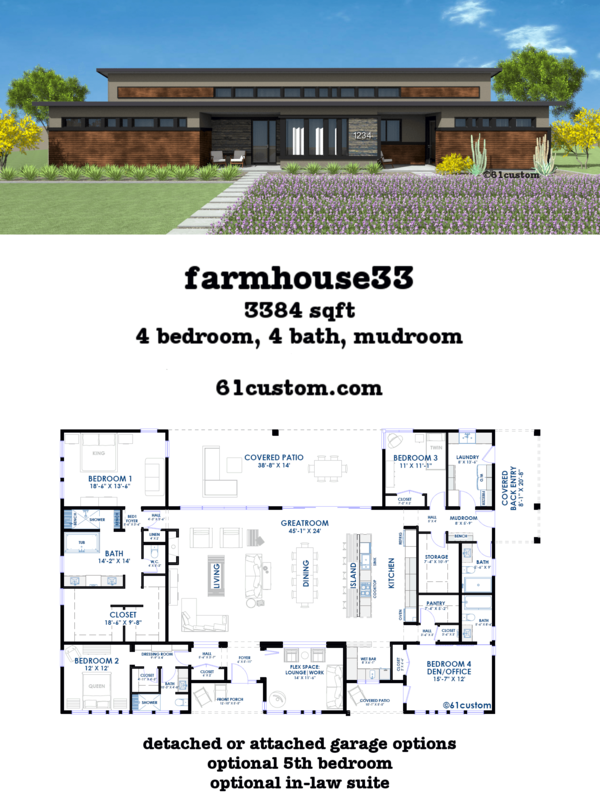 2073sqft ultra modern house plan. 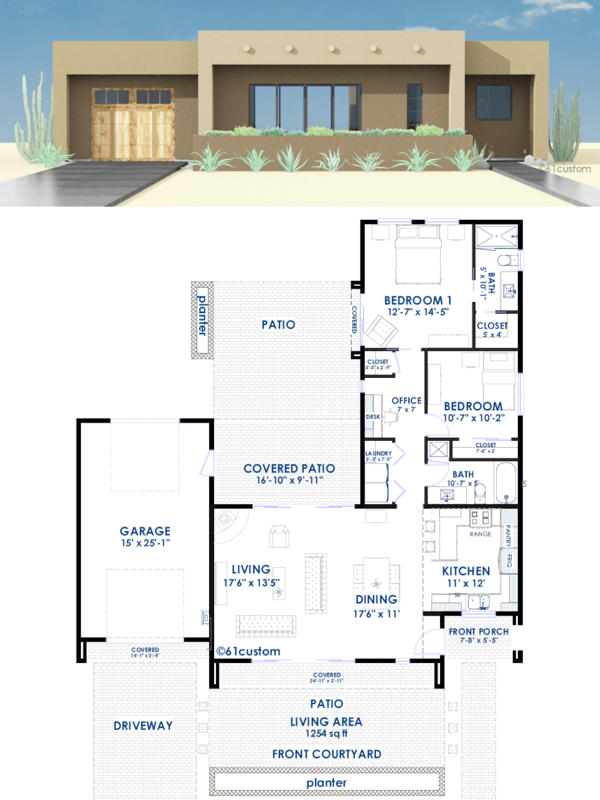 This house plan features a roomy entry gallery with a large sliding door out to the covered patio. 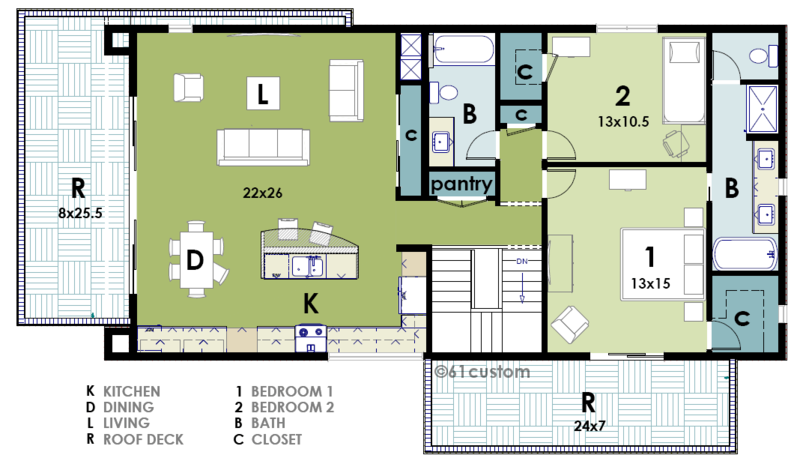 Just beyond is an entry-level studio home office with a bath, wetbar and computer area. 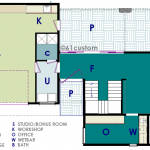 This plan allows clients to enter your office without having to walk through your personal living space. 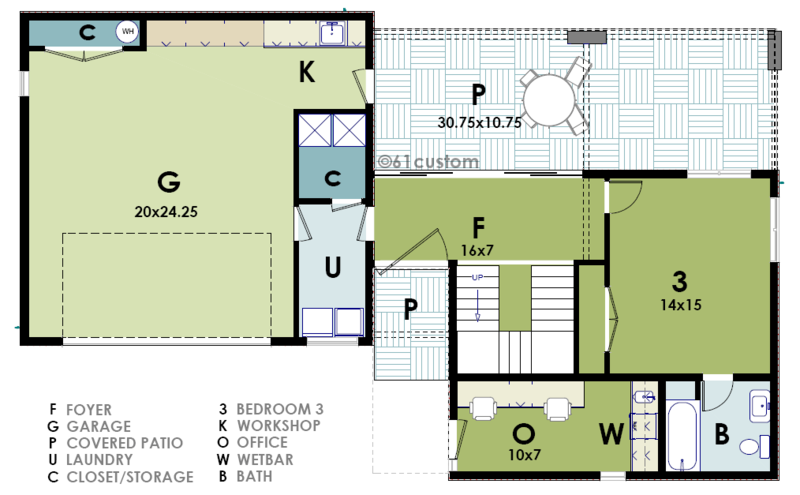 The two-car garage is also home to a workshop area with its own sink and exit to the backyard. 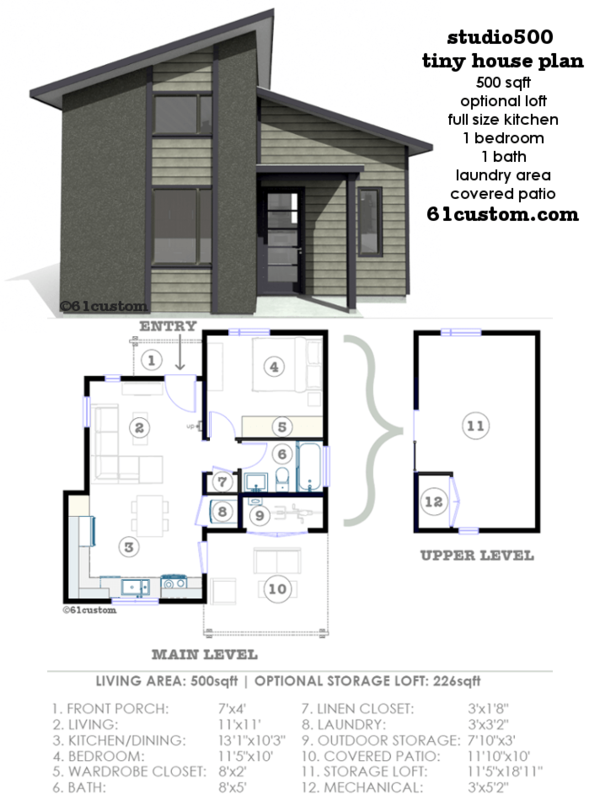 The second story offers a large loft-like modern apartment with a great room, roof deck, two bedrooms and two baths. 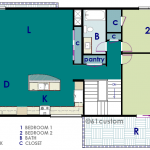 The master bedroom also opens to a private walk-deck. 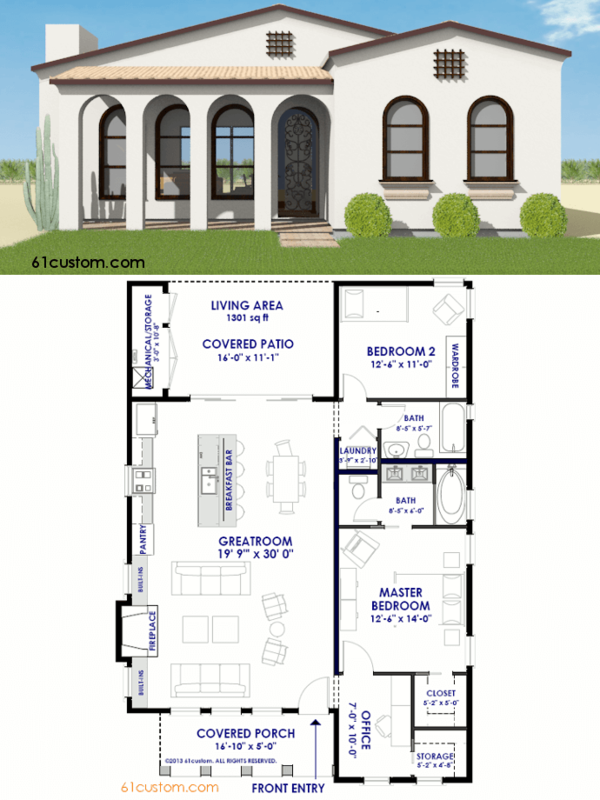 This house plan is designed to allow either the long or narrow side to face front, also making it ideal for corner lots. 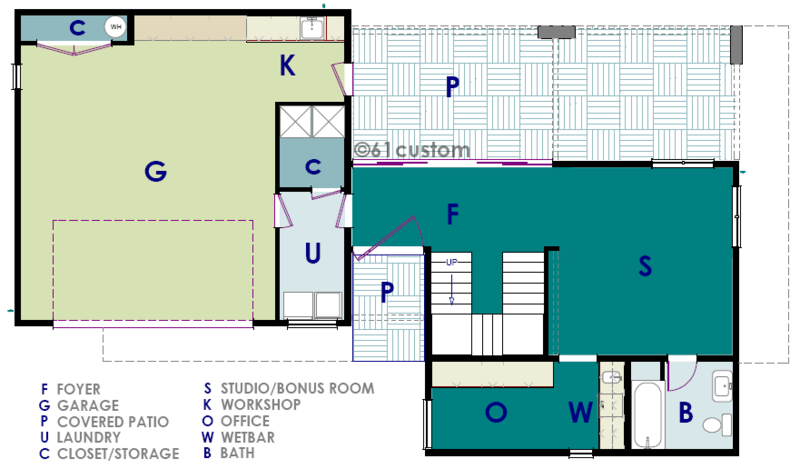 An optional first floor layout converts the studio to a 3rd bedroom, and moves the office entry to the outside.